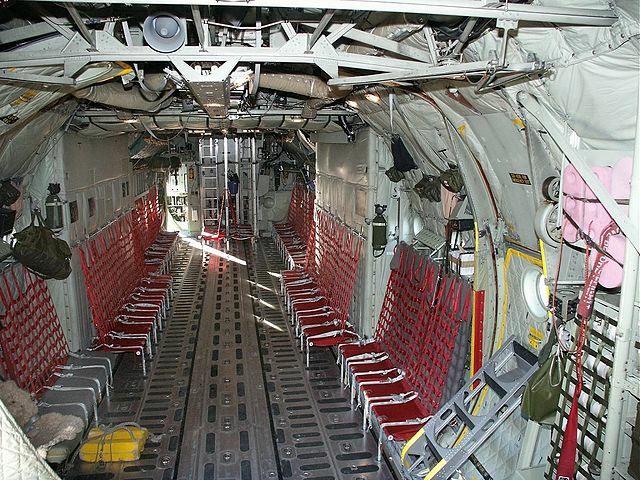 In several movies I have watched recently, the temporary bench style seats of tactical transport aircraft such as the C-130 do not show seat-belts. I would not be surprised that some instances of seat belts would be ignored during times of war but let's limit this question to standard operations. So, is it standard practice for transport aircraft such as the C-130 or Chinook helicopter during large personnel missions to provide all occupants with seat belts? Not the answer you're looking for? Browse other questions tagged safety military helicopter passenger or ask your own question. What are the fatigue regulations in the US and Australia for military transport helicopters/rotorcraft? What is the average number of daily flights for all types of aircraft in use worldwide? Are fully electric helicopters suitable for military operations? Are transport gliders used by modern armies? How practical might it be, to carry military tanks by helicopter(s) to remote areas? How can ballistic techniques be used for civil passenger transport? do commercial flights need to carry epipens?